Makshita "Maks" Luthra is a Master of Public Health candidate specializing in Public Health Administration & Policy, a Graduate Research Assistant at the University of Minnesota, and an associate health services analyst in the Mayo Clinic Robert D. and Patricia E. Kern Center for the Science of Health Care Delivery. 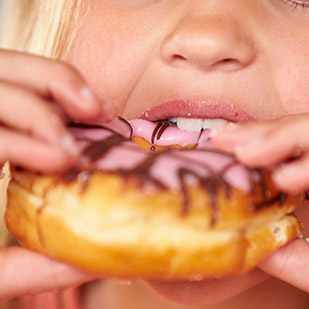 Childhood obesity has more than doubled in children and quadrupled in adolescents in the past 30 years. It is often linked to unhealthy eating habits and sedentary lifestyle. 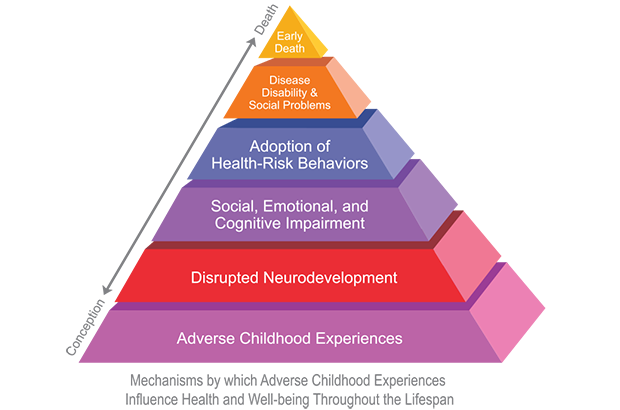 Another significant factor associated with obesity in children and adolescents are “adverse childhood experiences,” or ACEs. 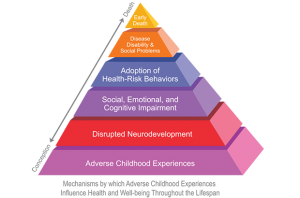 ACEs are childhood experiences, both positive and negative, that have a tremendous impact on future violence victimization and perpetration, and lifelong health and opportunity. In 1998, Vincent Felitti, M.D. and Robert Anda, M.D., outlined ten types of ACEs, of which five are defined as maltreatment – physical abuse, verbal abuse, sexual abuse, physical neglect, and emotional neglect, and the other five are related to the behavior or experience of other family members (Felitti et al, 1998). The combined total is referred to as an individual’s ACE score. Children with an ACE score appear in all human service systems throughout their lives – as children, teens, and into adulthood – as clients with behavioral, learning, social, criminal, and chronic health problems. 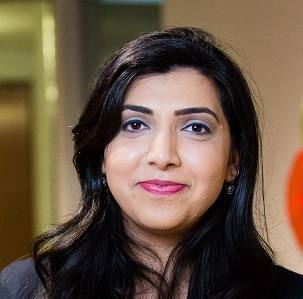 In an effort to better understand the way family experiences can affect future health – specifically obesity – researchers from the Mayo Clinic Robert D. and Patricia E. Kern Center for the Science of Health Care Delivery and Department of Pediatric and Adolescent Medicine evaluated the association of adverse family experiences (AFEs) and prevalence of obesity. AFEs are a subset of ACEs and relate more to the environment and community context than to direct maltreatment. The researchers looked at a large national database—the National Survey of Children’s Health (NCSH) 2011-12—which captured household dysfunction and family exposures such as divorce or separation of parents, parents served time in jail, witnessed domestic violence, and lived with someone with substance abuse problems or someone having mental illness or suicidal tendency. They found that among children between 10-17 years of age, exposure to two or more adverse family experiences, death of parent, and hardship due to family income, were independently associated with overweight and obesity status after adjusting for other AFEs and socio-demographic factors. “Pediatric obesity is a huge public health problem that likely cannot be solved solely within the clinic setting. By reaching out and working collaboratively with public health, community resources, policymakers and schools, new models for care management can be developed and evaluated in an effort to more successfully address this issue”, says lead author, Brian A. Lynch, M.D., who is also a Population Health Scholar in the center. The authors believe that improved identification of AFEs in children may mitigate the effects of ACEs on development of chronic health problems, including obesity. AFE screening could be a method to stratify children in primary care practice by risk category, which could lead to different interventions and follow-up recommendations for children identified as high risk. Further research is needed to establish the impact of currently available interventions targeting AFEs on obesity risk. Read more about the Population Health Science Program.